Bhubaneswar, 3rd February 2017: Kalinga Lancers registered their first ever win against Jaypee Punjab Warriors with a narrow 6-5 victory here on Friday. It was German stalwart Moritz Fuerste who struck twice (18’ and 28’) while Glenn Turner (11’) and SK Uthappa (32’) scored to ensure the home team bagged five points from the match, despite a late surge by the visitors, and topple Dabang Mumbai from top of the points table. 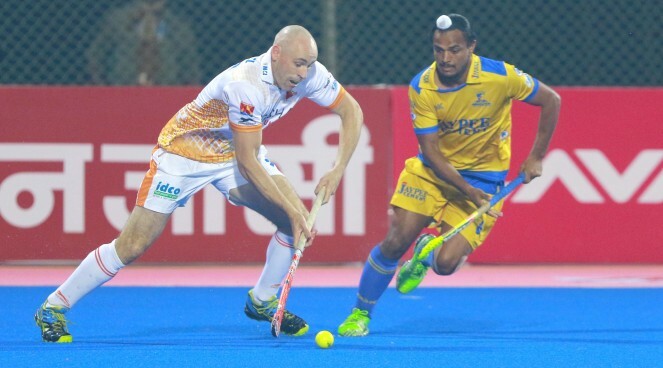 The encounter between Kalinga Lancers and defending Champions Jaypee Punjab Warriors brought back memories from last year’s Coal India Hockey India League when the two top teams met in the final and this time Kalinga Lancers looked to avenge the loss. Played in front of an enthusiastic and loud Bhubaneswar crowd, it was no doubt this game was of high stakes and the teams did not disappoint. The home team continued to dominate the second quarter too as they found yet another break through when their skipper Moritz Fuerste successfully used the video referral to win his team their second PC. The German is rarely off the mark when it comes to converting PCs and this time too he was inch perfect when he deflected the ball between Clements legs, after an improvised injection by Glenn Turner. This took the Kalinga Lancers score to 3-0. The final quarter saw some tense moments, with Jaypee Punjab Warriors making desperate attempt to come back into the game. Despite the home team’s defenders doing their best to keep the lead, the defending Champions won a PC in the 52nd minute and Mink Wan Der Weerden converted this one, closing their goal difference to 4-6. 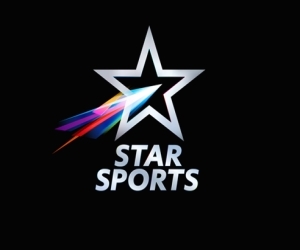 SV Sunil won the visitors yet another PC in the dying minutes of the match and a stunning variation attempting for a field goal was successfully converted by Arman Qureshi in the 57th minute but the goal counted for just one goal instead two as it was trapped by Robert Van Der Horst inside the five-meter circle. Glenn Turner of Kalinga Lancers was awarded with a prize money of Rs 50,000 for scoring the Coal India Goal of the Match from Mr Bipin Bihari Mishra, General Manager, Bhubaneswar, Mahanadi Coalfields Ltd.
On 4 February 2017, Ranchi Rays will take on Uttar Pradesh Wizards in Ranchi at 1900hrs.